1/2 or 1 cup of fresh mint. -Peel, dice and boiled 5 or more sweet medium potatoes for 20 mins or until they soften. -In a saucepan, add 2 tablespoons of olive oil or grapeseed oil on medium heat. Add 1 medium diced onions and diced sweet mini peppers, stir for 3 minutes. Then add 4 tablespoons of marinara sauce and stir for an additional 2 minutes. -Add basil, thyme, parsley, mint, spinach and stir for another 5 minute. Add 4 cubes of Knorr cilantro seasoning. 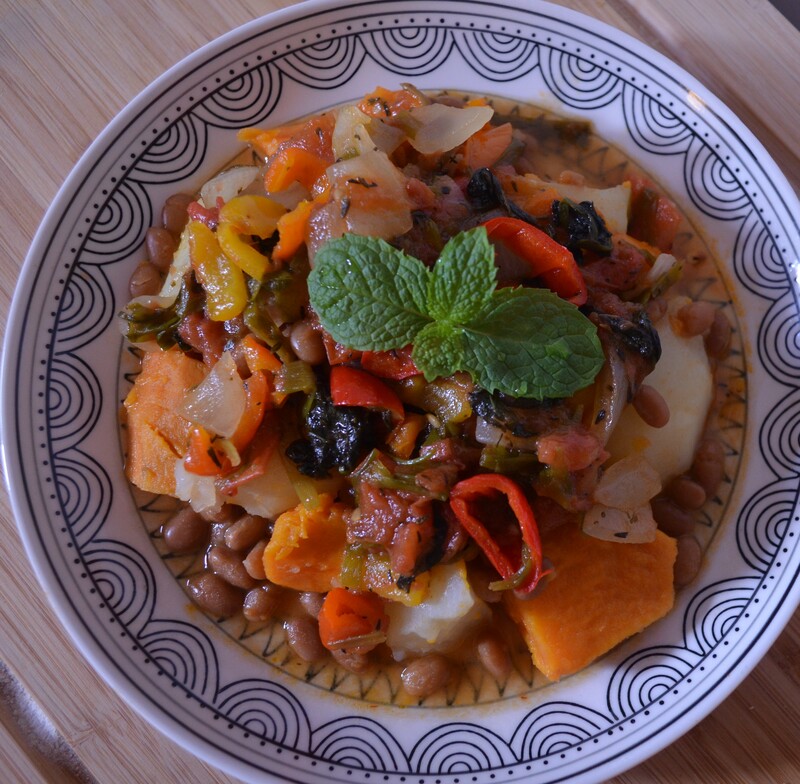 -Transfer the stew from the saucepan into a bigger pot and add boiled sweet potatoes. Mash/Mix the boiled potatoes and stew with a spatula/bamboo utensil until desired texture ( I prefer the creamy mash-potato like texture as shown below). -Dinner is ready! Make more to share with friends and Family! 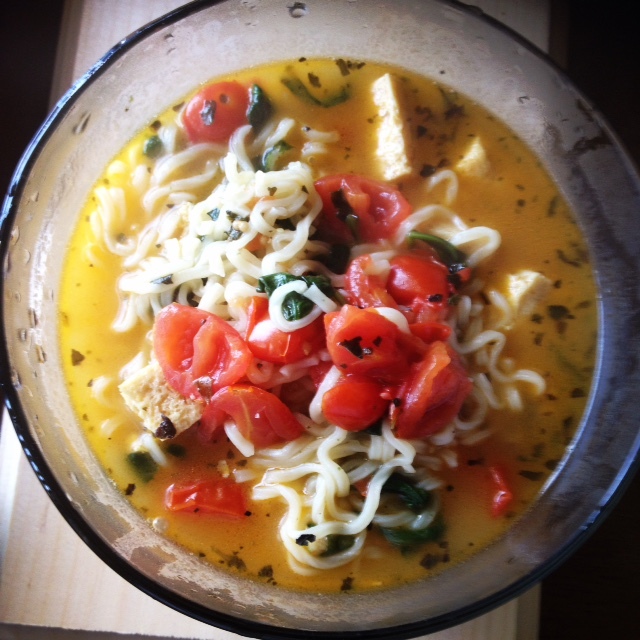 Boil 1 Ramen Noodles for 5 mins, Add freshly diced onions and tomatoes, dried basil leaves and tofu. Let it all boil for another 5 – 10 minutes and your Raelthy is ready!! Cook lentils on fire for 15-20 mins until it’s cooked done, Or longer if desired softer. Add Goya or knorr seasoning. Stir fry for 5-10 mins, then add already cooked lentils and stir fry for addition 7-15 minutes. Lentils potion of the meal is now ready! In a separate pot, boil the asparagus for 10-15 minutes. Season with a little goya or a pinch of salt and thyme. 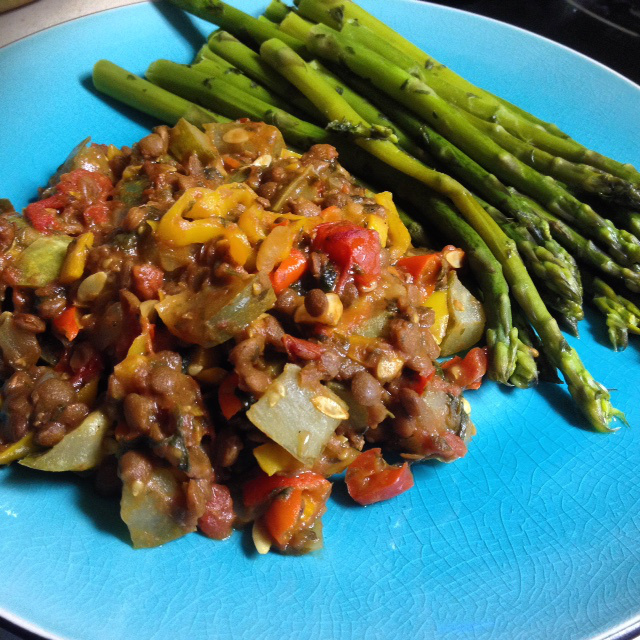 Place asparagus in a plate, and lentils beside it and dinner is ready! To prepare the potatoes, boil potatoes for 15 – 25 minutes (depending on how soft you prefer it). Open 1 can of Bush’s Baked Beans (vegetarian ). Empty the can into a pot, add as much water as necessary to rinse the beans out once or twice, to reduce the amount of sodium in the beans. 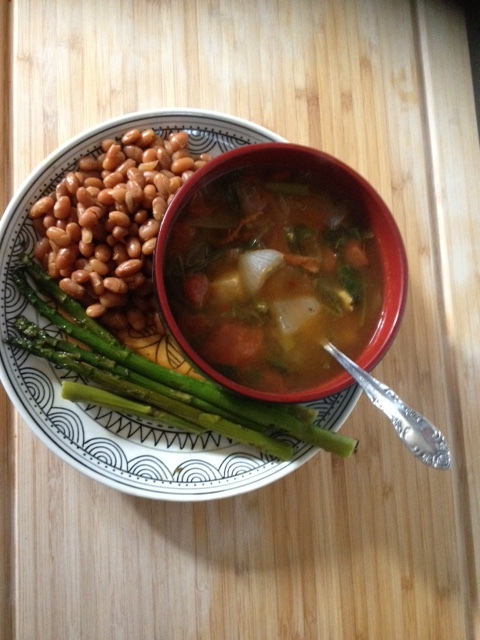 Let the beans warm up on medium heat for 5 – 7 minutes with little or no water. 3. To prepare stew, add diced onions, tomatoes, sliced chives, fresh basil leaves, sliced peppers and 2 1/2 tablespoon of extra virgin olive oil to a medium size pot. 4. Place the pot on medium heat, add thyme and 1 teaspoon of Goya seasoning . 5. Stir stew and let it boil for 15 minutes. -Dinner is ready, served as desired! 3-5 cups of water or more as desired. Boil the water for 3-5 minutes, then add the spinach, diced tomatoes, onion, cilantro, thyme, and seasoning. Let it all boil for 10 minutes, stir soup, taste and add salt if desired. Let it boil for an additional 5 minutes or longer (if preferred). If not, soup is ready! Boil Asparagus in 4 cup of water for 5-10 minutes. Pour it into a pot, add as much water as necessary to rinse the beans out once or twice, this reduces the amount of sodium in the beans. Let beans warm up on low-medium heat for 3 – 5 minutes with little or no water. Dinner is ready, served as desired! 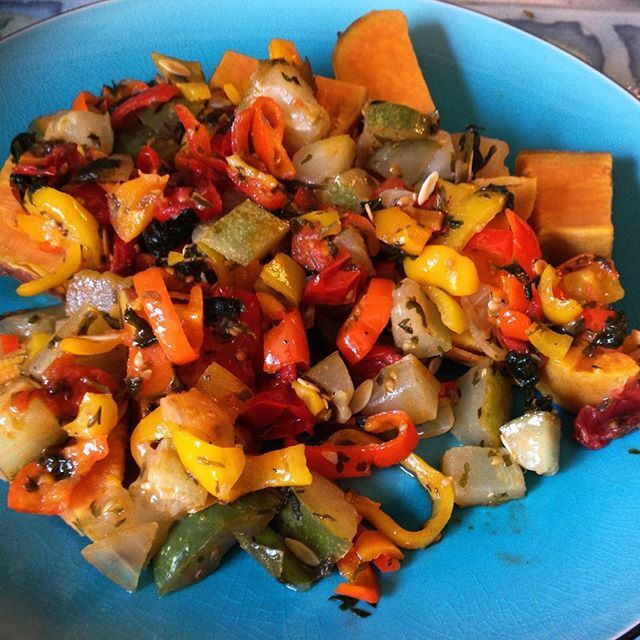 Pingback: Easy to make Dinner Recipes… | FOWES: Eat,love,learn!